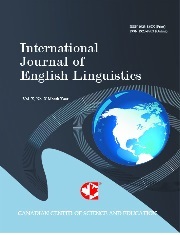 Southeast Asia Language Teaching and Learning (SALTeL) is a double-blind peer-reviewed international journal dedicated to promoting scholarly exchange among teachers and researchers in the field of Language Teaching. The journal is published online twice a year. The scope of SALTeL includes the following fields: theory and practice in language teaching and learning, teaching a second or foreign language, language teachers’ training, and education. Authors are encouraged to submit complete, unpublished, original, and full-length articles that are not under review in any other journals.